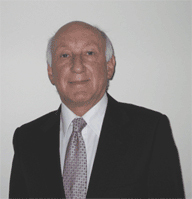 Mr Peter Grossberg is a graduate of the University of Melbourne and a qualified General Surgeon. He is a fellow of the Royal Australasian College of Surgeons and the American College of Surgeons. He did his post-graduate training at the Alfred Hospital and then overseas at the Lahey Clinic in Boston USA and the Royal United Hospital, Bath in the UK. He has been in practise in general surgery for more than 25 years. His principal practice is at Epworth Eastern Hospital in Box Hill. He has been an anatomy teacher and examiner at the University of Melbourne at the undergraduate and post-graduate levels as well as being an examiner and surgical tutor at the Royal Australian College of Surgeons for post-graduate doctors. He continues to teach both undergraduate students for Monash University and post-graduate surgical doctors at Box Hill Hospital. He is currently a Senior Lecturer in surgery at Monash University and is a Senior Surgeon and Head of Unit at Box Hill Hospital. Since the introduction of laparoscopic surgery (keyhole) in Australia in 1990, his practice has specialised in laparoscopic surgery and he was one of the first surgeons in Melbourne to do laparoscopic (key-hole) surgery for gall-bladder disease. Laparoscopic surgery can now be done for many operations that were previously done as an open cut and in particular this technique has been adapted to all forms of hernia surgery. Some of the newer techniques involve the insertion of mesh, which is now glued to the abdominal wall rather than stapled with metal staples. He has been in the forefront of the development of different techniques of hernia surgery and frequently runs workshops teaching laparoscopic hernia surgery for the Royal Australian College of Surgeons. He has an extensive practice in laparoscopic hernia surgery and has performed over 7,000 operations both as an overnight stay or as a day-case. He frequently acts as a mentor and assists other surgeons who are learning this technique.